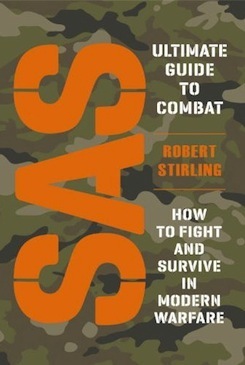 In SAS Ultimate Guide to Combat: How to Fight and Survive in Modern Warfare veteran Special Forces soldier Robert Stirling in his inimitable politically incorrect and direct style describes everything that is needed to be effective in combat ranging from the importance of comfortable footwear to equipment such as knives, rifles, pistols, grenades, night vision equipment, maps and GPRS and phones. He also explains field craft and camouflage, how to avoid shot and blast injury, how to hold a position against the enemy and how to attack. An invaluable guide for anyone going into action.
" This makes the book a very good guide, from which one can learn a lot, and a very entertaining read."